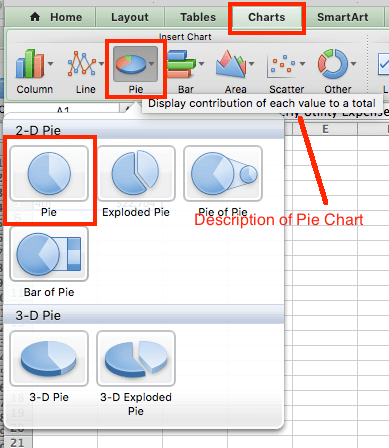 In this section, we’ll show you the steps to create a pie chart in Excel 2011 for Mac. While the images may differ, the steps will be the same for other versions of Excel, unless they are called out in the text. Open a blank worksheet in Excel. Enter data into the worksheet and select the data. Remember that pie charts only use a single data series. If you select the column headers, the header for the values will appear as the chart title, and you won’t be able to edit the text. 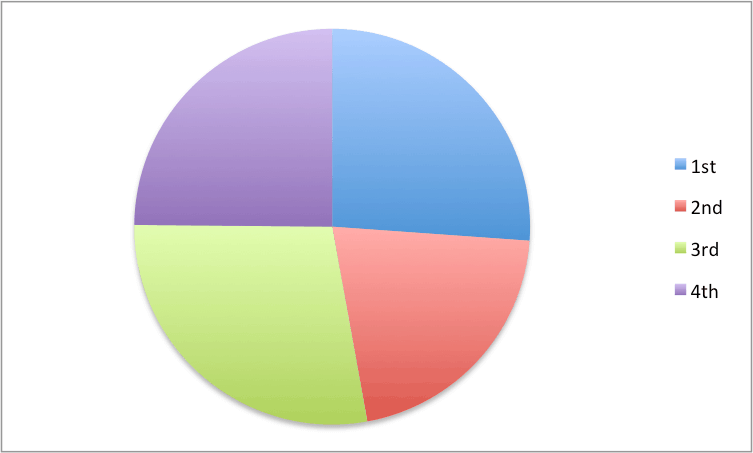 The pie chart appears on the worksheet. Other Versions of Excel: The chart types are listed under the Insert tab. This is the only difference.